The Bump to Baby Diet provides practical advice for mums-to-be on how eating a low-GI diet can help you enjoy a healthy pregnancy, avoid gestational diabetes and give your baby the best start in life. 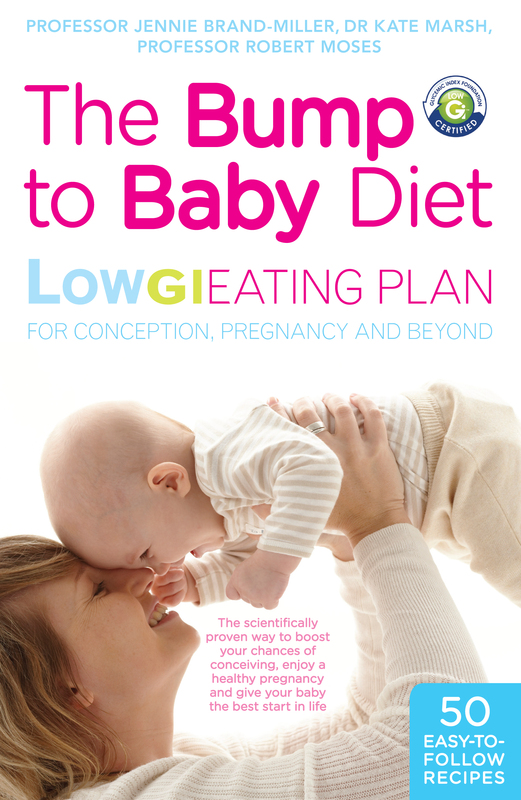 The authors provide advice on how to optimise your diet – pre-conception, during pregnancy and once your baby has been born to ensure a healthy baby and a healthy mum. Studies have shown that being overweight when pregnant can increase your risk of gestational diabetes and can also lead to health problems for your child, including childhood obesity and type 2 diabetes. This is particularly important for women with PCOS who are at higher risk of developing gestational diabetes. To find out more visit www.bumptobabydiet.com or buy your e-book here.